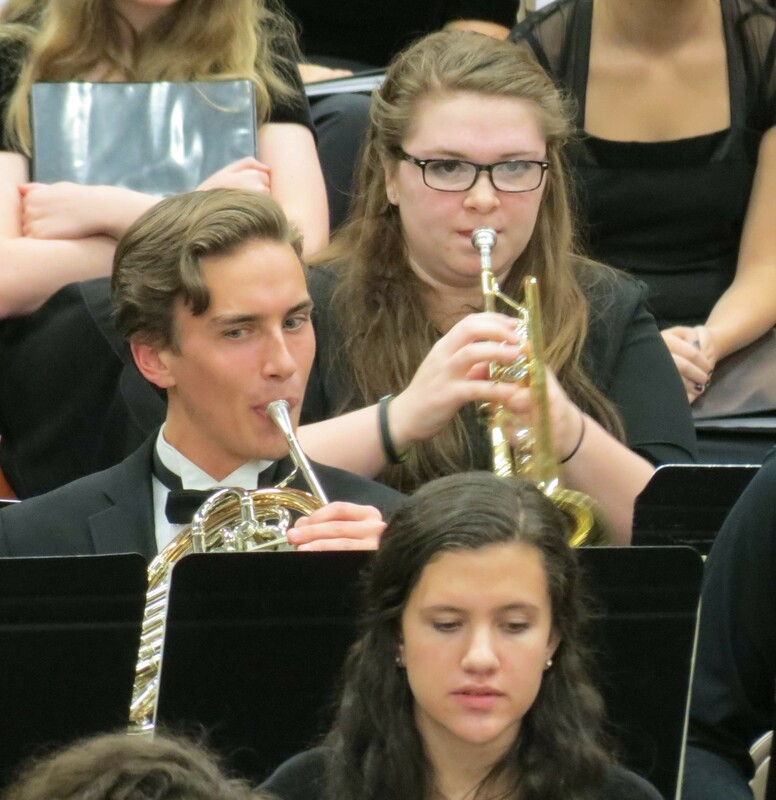 « She Came, She Went–Trumpeter Deserted Band for Choir! She started trumpet lessons with me in 2009—six years ago—and thus became my fifth private student. Now she’s a senior at Juanita High School in Kirkland and made the High School Honor Band in the Lake Washington School District (LWSD). Her plans are to study music education at Central Washington University in Ellensburg, starting in fall, 2016. I’m proud of her—Sarah Dunsmore. The 58-member Honor Orchestra opened the concert with Dr. Ryan Dudenbostel conducting. He is Director of Orchestral Studies at WWU. Next came the Honor Choir, comprised of 37 members who were conducted by Dr. Geoffrey Boers, Director of Choral Activities at the University of Washington. This entry was posted on November 21, 2015 at 11:13 am	and is filed under School Concerts. Tagged: band, choir, concert, Dr. Chris Bianco, Dr. Geoggrey Boers, Dr. Ryan Dudenbostel, Frank Ticheli, honor, Hunsberger, Lake Washington School District, lesson, LWSD, orchestra, Percy Grainger, Shostakovich, trumpet, trumpeter. You can follow any responses to this entry through the RSS 2.0 feed. You can leave a response, or trackback from your own site.